Today was a school day for me – and despite the horrible weather, I arrived at New England School of Art & Interior Design earlier than usual. At my table there were piles of magazines being used for a project our class is doing on color and composition. 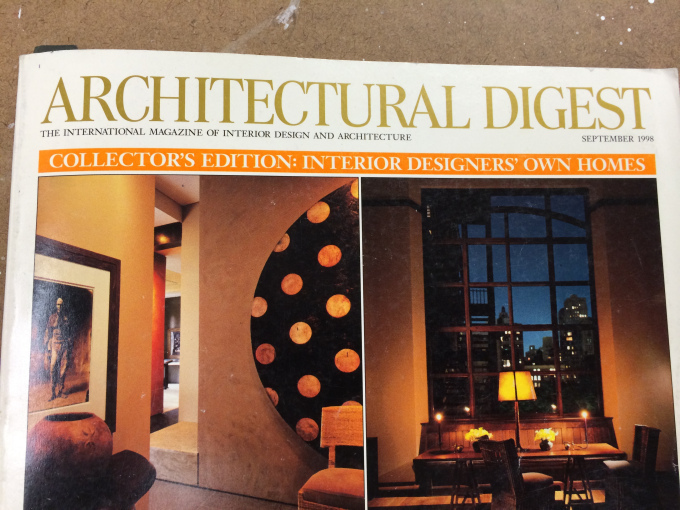 Squarely in my space, as if it were meant for me, was a circa 1998 Architectural Digest. If you know me, you know this is my favorite magazine – it’s like a gift in my mailbox each month. Instead of getting my homework out, I spent my pre-class time flipping through the pages. 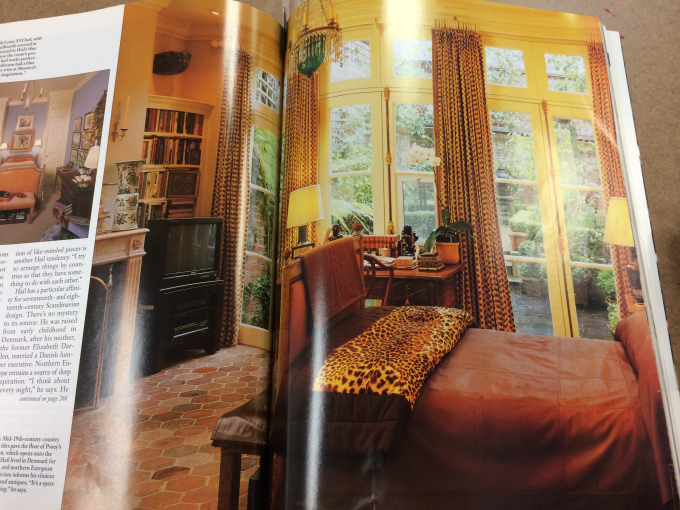 It was the annual edition where they showcase designer’s own homes, which was an interesting snapshot of the times. Always adding a something unexpected, a little (key word little) animal print is always right and does not age! Also above. Panel drapes are timeless. Period. 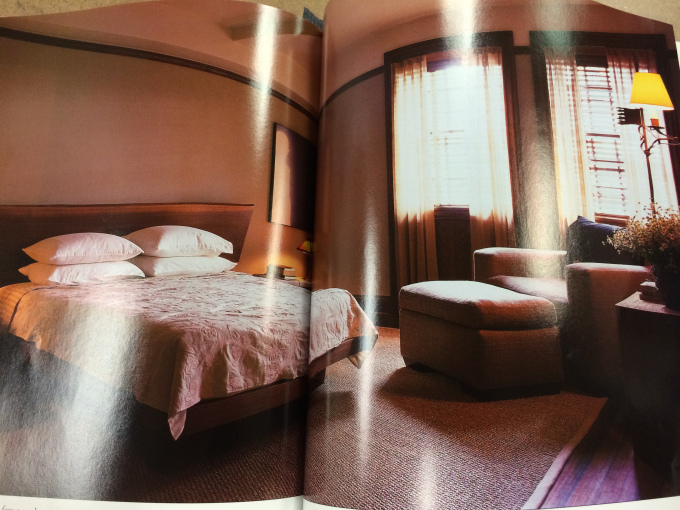 Call it “safe” or “boring”, but some of the only rooms that did not look “dated” were designs that used beiges, browns and whites – very clean, uncluttered and classic. Maybe a bit on the not-so-interesting side, but none the less I’m confident the homeowner was happy in those spaces for many years, and that perhaps only small changes kept things fresh. I actually saw a SISAL. For real, it’s in this master bedroom. Although not right for every space, sisal is a home-run piece for many reasons – affordability, flexibility, and style. The rooms that looked the best were the ones where you could actually see what was in the room. By that I mean a good focal point – one, or maybe two – but not dozens. Space to breathe. The more contemporary spaces seemed to have a handle on this concept. 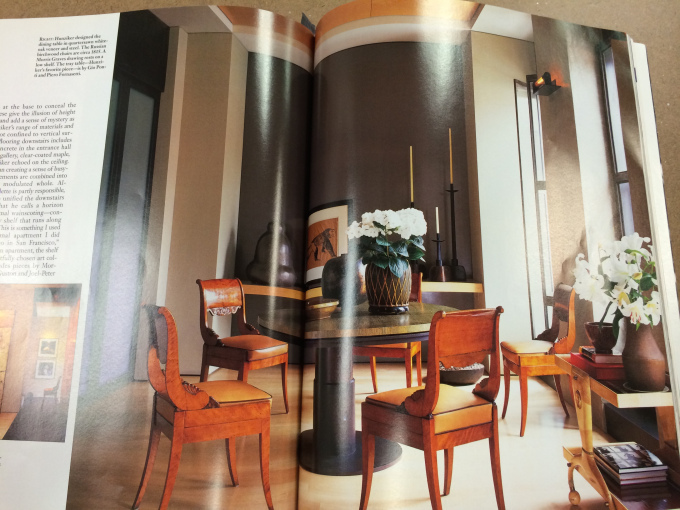 The traditional spaces – not so much. When it comes to flooring, the most dated rooms had some sort of tile in a pattern that was either loud or busy. Same for rugs. Good ol’ plain hardwoods looked timeless. I’m saving this year’s Designer edition of AD in a “time capsule” – it will be interesting to see what the next 16 years brings!